With over 10 years of experience as a Realtor® Angela has expanded her professional career from residential, to investments and commercial real estate. She holds an Accredited Buyer’s Representative designation, and has been an investor herself for over 15 years. Angela holds a BS in Business and Computer Systems from the Milwaukee School of Engineering. Dionne has been a respected Realtor® for 15+ years and focuses on luxury and investment properties in Southeastern Wisconsin. With over 664 properties sold in her career, she averages 1 property sold a week! 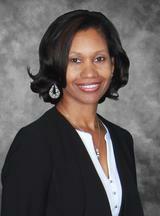 Dionne holds a BA in Business Management and Communications from Alverno College.